Can you imagine a life where you had to wake up every day, commute to a job you hate, and just go through the motions, all in the name of a paycheck? Maybe you don’t have to imagine this because this is in fact, your reality. 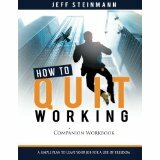 Well you are not alone because Jeff Steinmann has been where you are. Jeff is living proof that clocking in and out to make the status quo can be a hard thing to move away from. Working at a job he hated for a rather cushy paycheck, he decided he wanted something more; he wanted out. He scheduled a meeting with his boss and when the time came to explain that he wanted out, he choked. It took him 10 years – TEN YEARS! – to finally find the courage to do what he wanted and he couldn’t be happier about his choice. Having learned some very big lessons along the way, Jeff now helps others get out of their 9-5 by helping them identify and clarify what it is they truly want to do, how to overcome money blocks and so much more. If you’ve been struggling to make the leap from corporate to entrepreneur then listen in now and tell us; How are you planning on quitting your job OR if you’ve already started your business, how do you plan on taking it to the next level? Share in the comment section below. Starting a business is leap of faith you take in yourself. 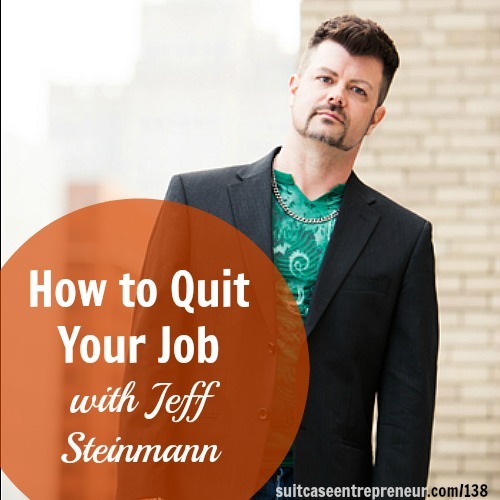 Find out how to make this leap with @JeffSteinmann.